So we’re back here again, at the not-so-wide world of Australian metalcore. And when delving into this scene, the best way to do it is with an academic curiosity rather than outright disdain, trying to ascertain how these acts intend to stand out when they do so little to ensure that outcome. It makes the arrival of a band clearly doing something different something of a godsend. So enter Saviour, a Perth sextet returned from splitting up in 2014, and whose metalcore sound is heavily tempered with ambient and post-rock elements. It’s an interesting concept, especially given the current climate that they’re in, and if Saviour can pull it off on new album Let Me Leave, they can easily be put alongside some of metalcore’s most interesting acts. That would be the case, except it doesn’t really seem to happen, not at first anyway. On first listen, Let Me Leave feels hugely underwhelming, formless and meandering with precious little to latch onto. But with every subsequent spin it clicks even more, an album that uses its very sparse setup as the backbone for an insular, deeply personal listen. The key factors in achieving this come in the instrumentation and the lyrics, and how they come together to convey the intensity. There isn’t too much to say about the former; careening, liquid guitar lines that weave through beds of strings, only occasionally picking up a bit more of a snarl on tracks like Wildfire. It’s a welcome change from the metalcore plague of meatheaded breakdowns, but the minimalist approach puts the actual lyrics right at the forefront. And if there’s one area that’s absolutely imperative for determining this album’s success, it’d be the lyrics. For as much work as delivery can do, there needs to be actual weight to what’s being said to balance out the ethereal instrumentals. Fortunately, Saviour manage to hit this almost perfectly. It’s slightly reminiscent of Touché Amoré’s Stage Four in its stark, naked bloodletting, and while Let Me Leave doesn’t have the same amount of pure hurt in its lyrics (but then again, what album does? ), there’s still a palpable degree of rawness here that Saviour convey outstandingly. There’s the failed relationships that are blamed on the demons of the narrator in Forget Me and April (with the line “I named this song after you” in the latter stinging all the more), with those demons fully taking over and prompting the desire for any sort of escape on Pressure And Composure. It’s fairly broad and unspecific in its inspiration, but it’s played with such brutal honesty, and Bryant Best’s half scream, half pained cry feels surprisingly raw and ragged, especially considering the polished instrumental production. But unfortunately, it’s the delivery of these songs that the niggling problem of this album stems from. Best’s contributions remain consistent throughout, but it’s his counterpart Shontay Snow who holds this album back. It’s obvious that away from Saviour she’s a folk / indie-pop singer, because her voice is far too wispy and thin to really match up with Best’s, and the dichotomy is seriously jarring. Where there’s such a insular quality to Best’s vocals, Snow feels a lot more distant and aloof, and the impact she has is slightly disrupting, especially on her solo track The Cool Calm that seems to drift away into nothingness with very little payoff. She comes across as a lot more effective when the instrumentation is more complementary to her style, like with the clean, chiming guitars of Like This, and while it can be assumed that such a light delivery is intentional, acting as omnipresent, subconscious thoughts of the protagonist, her delivery still doesn’t totally click with any other component, and floats through the album rather than being grounded to it. And that’s especially frustrating, considering how effective Let Me Leave proves itself to be. There’s next to no immediacy here, a true slow-burner if there ever was one, but in a scene that relies on brusque, tactless hammering over any sort of nuance, it’s the closest thing to revelatory as you’re likely to get. That may be a bit of an overstatement to be honest – Saviour still have a couple of issues they need to work out before they can be called truly great – but as the next chapter of the band, and especially as a career restart, Let Me Leave oozes with a class and emotional potency that fits it perfectly. 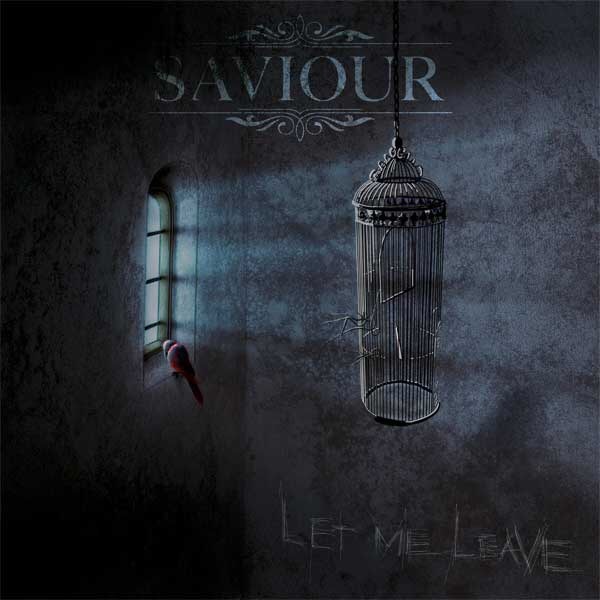 ‘Let Me Leave’ by Saviour is released on 13th January on UNFD.